Top down, cruising on the high way with the sun in your face and wind in your hair! What's better than the beach or lake on a summer day? Getting to that beach or lake with your favorite convertible. Ride in style and park even more stylish with your beautiful S2000 with the top down. 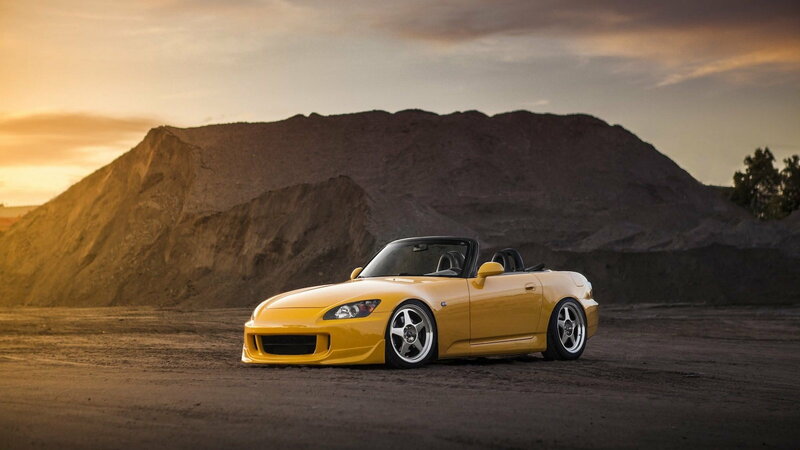 >>Join the conversation about the S2000 Wallpapers for the Summer right here in the S2ki Forum! For those warm summer days when you want to kick back and just hang out. This wallpaper will give you somber memories of those some afternoons with your favorite ride. Even with the top up, this S2000 is an understated cool. For those hot summer days, this image represents the cool in the heat. The blinding sun is only absorbed by the luster of the pearl effect on your S2000 shiny paint job! Everyone loves a great sunset. 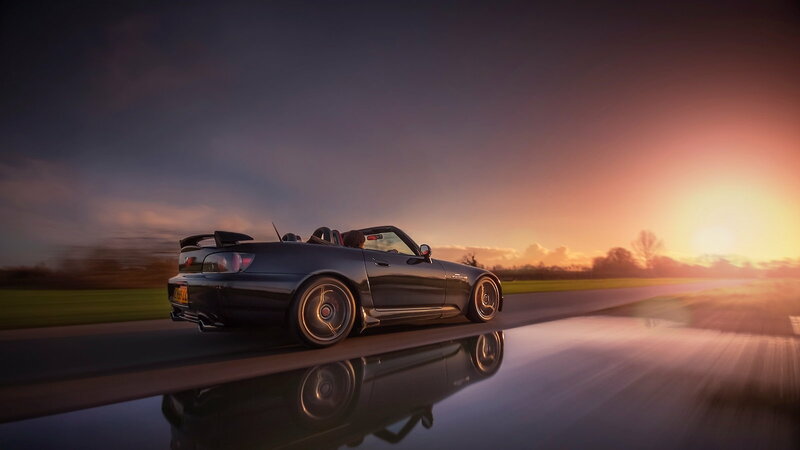 What better way to enjoy the views than from the laid back perspective of your S2000 convertible? Sit back, relax and enjoy the sun with this brightly stated, yet subtle work of art, under the sun. Nothing beats those warm summer evenings than a brisk ride with that top down and the wind in your hair. 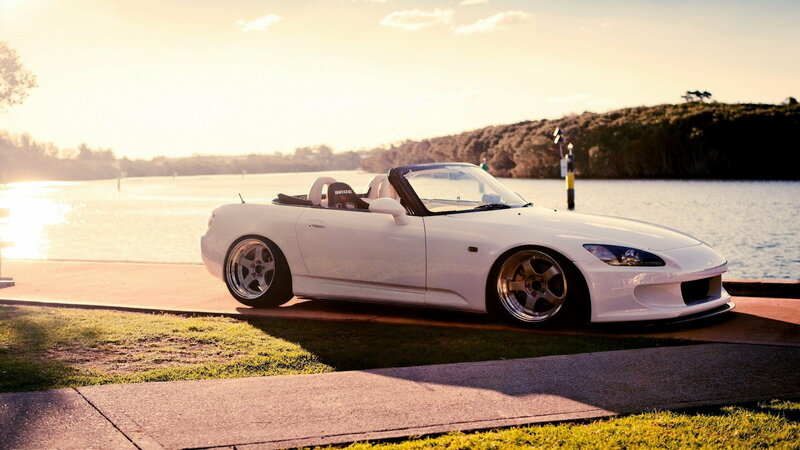 The season where S2000 shines best is summer. Whether night or day, it's always top down weather!